Today I woke up feeling inspired to continue working on decorating my room just the way I want it. I always have a billion ideas running around in my head for what I would love my space to look like (thanks to HGTV, specifically Chip and Joanna Gaines). But, since I don’t have a whole lot of free time and because I am definitely on a budget, my room is slowly coming together. If only decorating was FREE. I don’t really have a specific style when it comes to decor. I am very inspired by everything mid-century modern and I also love a nice, bright room. I like to do a nice mix of cheap, vintage and DIY items. Whenever I go to a antique store, I am on the search for pretty much anything that I can use for my room (though I unfortunately haven’t found much as of lately) or for my whole home, which I don’t have yet. I don’t find anything wrong with stock-piling things for your future home. I’ll try to link the things that I can remember! First of all, the desk itself is one of my absolute favorite things. It is mid-century modern styled and it was really cheap. Here’s the link to it: DESK. I love how simplistic it is, but fashionable and functional. I still need a proper chair, because I’m using a really shabby folding chair (not pictured.. for a good reason). I have been accenting with copper, as you will see, because I think it’s just so much classier and chic than silver or gold. I have a small desk lamp from IKEA, my favorite store, which really brightens things up and adds some character. I also have some smaller details, like a white jewelry tree, little decorative cup, candle, office supplies and some pictures of my favorite things. I also plan on creating a interesting gallery wall around my desk, but that is definitely still in the works (since I don’t have anything other than a mirror and chalk board). This little chalkboard, which I got from Target, was so cute to me. It hangs above my desk and really adds a little bit of flair. Also, bonus points if you know where this quote is from. This bookshelf was something I desperately needed, and is one of my most recent purchases. Until I got this, my books were in boxes collecting dust, when all I wanted was for them to have a home (YES THERE ARE SOME LAME BOOKS, I was a Twi-hard at one dark time). I found this bookshelf at IKEA and I’m pretty sure it was around $20. I can’t find it on their website, so it may not exist anymore? I like to throw a ton of random stuff on it to give it a kind of eclectic look. Where would I really be without my Ron Swanson bust and my Chicago skyline print I got from an artist off Etsy? Not anywhere good. This little banner that I DIY’d is one of my favorite details of my room. I actually intended for this to be christmas snowflake decor, but since it can totally pass for just your normal banner of flowers.. I’m keeping it up forever. I think it works so well against my blush pink accent wall. I have two of these IKEA hanging lamps in my room. They were actually the start of my copper obsession. I thought they were the most unique, adorable light fixtures ever. I put Edison bulbs in each one, because they are just so much cooler than your average bulb, obviously. AGAIN, another thing from IKEA. I fell in love with this cart the minute I saw it. I originally saw the sample in a light, pastel blue, but since it didn’t match my room I got this charcoal grey colored one. Aside from it being packed with too much stuff, I love it. The last little thing I love is my Himalayan Salt Lamp that my boyfriend got for me for Christmas. I keep it next to my bed since it creates a low, dim reading light. It’s absolutely lovely and I’m obsessed. That is my progress so far and I’m loving how it is coming along. I will be posting updates if anything changes along the way. I got into the holiday spirit a little earlier than usual this year. I had my tree up before thanksgiving, some of my holiday shopping had already been completed (this is very unusual) and I can’t stop listening to the holiday radio stations. Buddy The Elf, move over.. Emily’s in town. I like my tree to have a very simple, classic look. These ornaments totally fit that description. They’re simple and you can put whatever you want on them. Tom and I were super excited to make ornaments. He made two and I made two. We want to make it a tradition to make some each year. It’s a perfect thing to do with a significant other, siblings or any other friends and family as a personal touch to each tree. Grab a mug of hot cocoa and get to work! Gather your supplies and prepare the work space by putting down newspaper or an old sheet. After they dry, think of a lovely holiday design to put on them. I decided to put a snowflake on one and a tree on the other. Tom got fancy and did a “countdown to christmas” and a cute couple ornament with our names on it. (Maybe he should be the blogger in the relationship). Use the colored chalkboard markers to complete your design. I will be back with more holiday stuff soon! 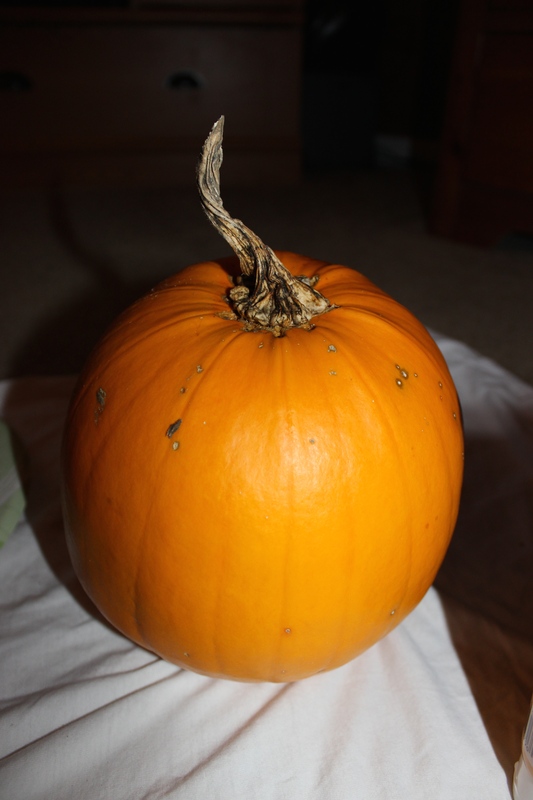 A few days ago, Tom and I decided to go to a local pumpkin patch to grab a few of our own from the fields. 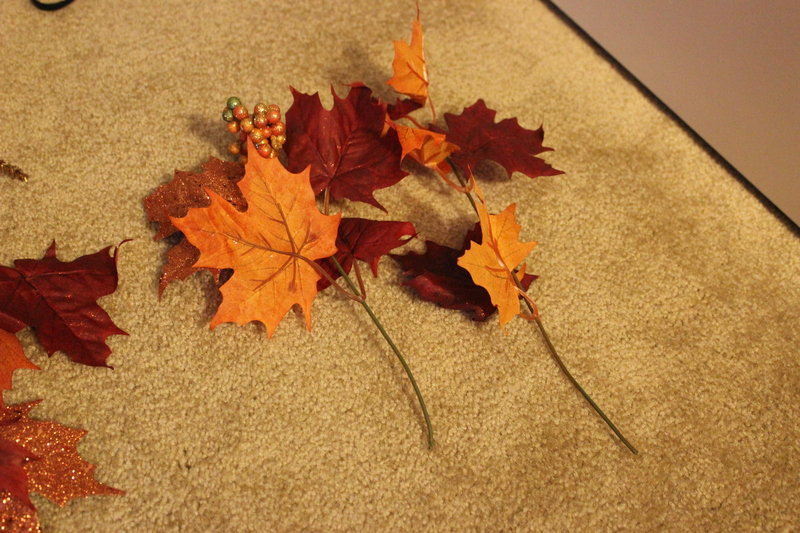 It was a wonderful thing to do together and really brought us into the fall spirit. We picked about 6 total pumpkins and some mini pumpkins all for the low price of $15. When the friendly farmer lady told us the price we almost laughed cause we thought she was joking. Even Home Depot charges about $10 for an awful pumpkin. My advice: always choose the pumpkin patch over large retailers. 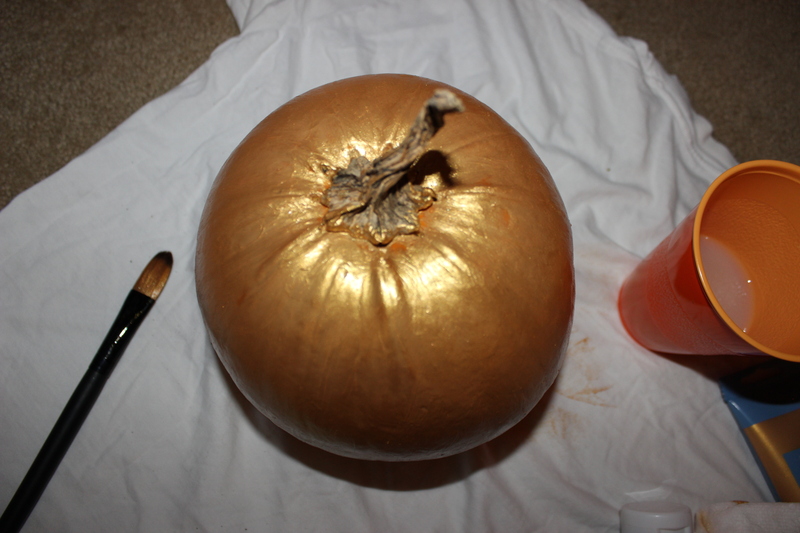 The price made us super happy about the pumpkin adventure and we went back to my house to carve them up. We didn’t make any real design plans.. instead we grabbed some knives and cut into them hoping for the best. To the tune of Monster Mash on repeat, Tom chose a simple design: a very simple design. He went with your typical small-faced jack-o-lantern, but it was still adorable because everything he does is adorable to me. I went with a slightly more complex idea.. JACK SKELLINGTON (from Nightmare Before Christmas). I think both of ours turned out perfectly and they now sit proudly outside of my house. 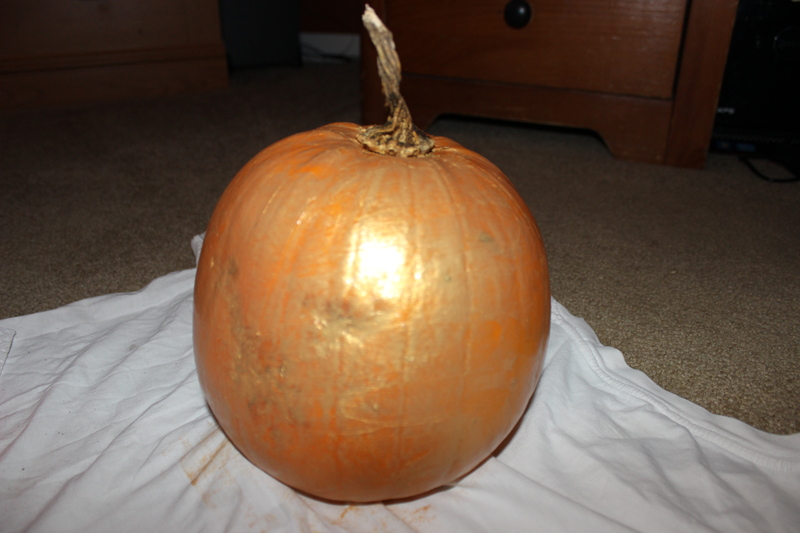 They might be rotted out by the time Halloween actually comes, but that’s okay. It’s really the simple things that bring me so much joy. 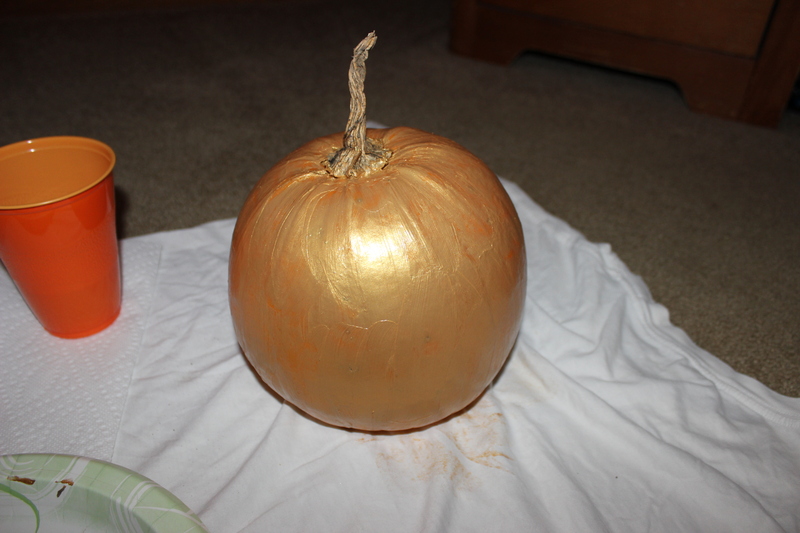 Yesterday, I wanted to get a bit crafty with one of my leftover pumpkins. 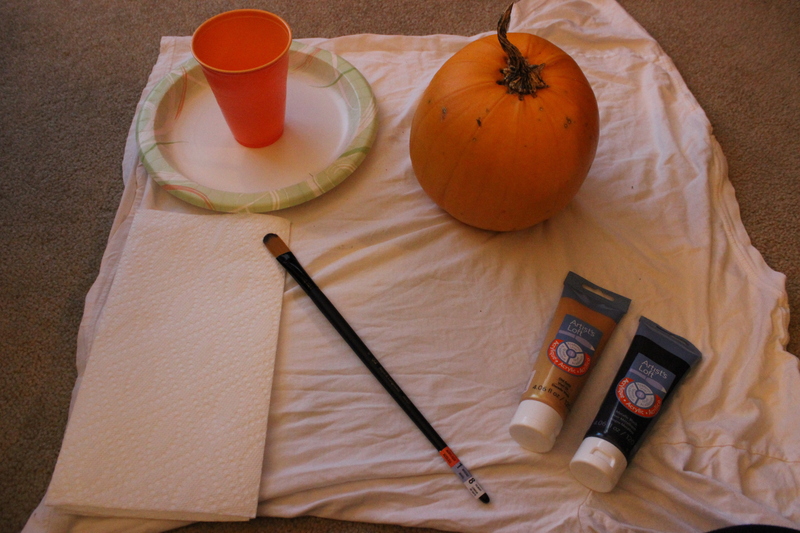 I had heard of “painting pumpkins” and thought it would be an awesome thing to try. 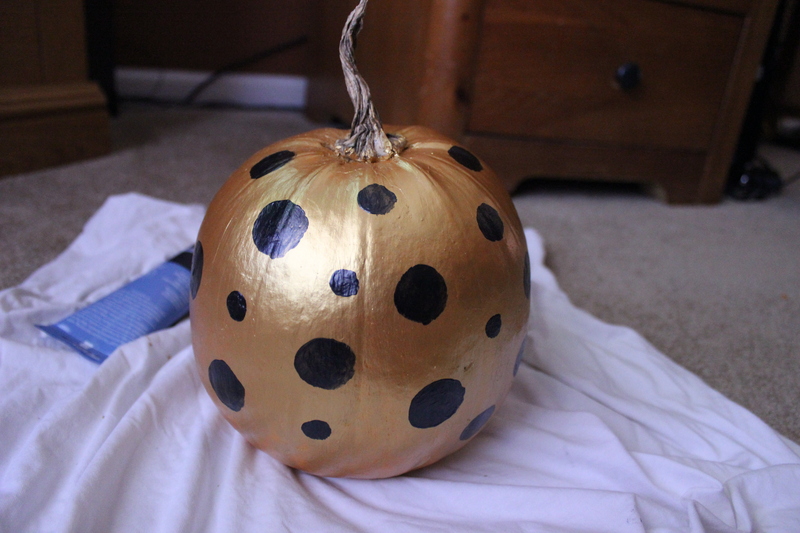 I came up with a simple idea: gold paint with black dots. 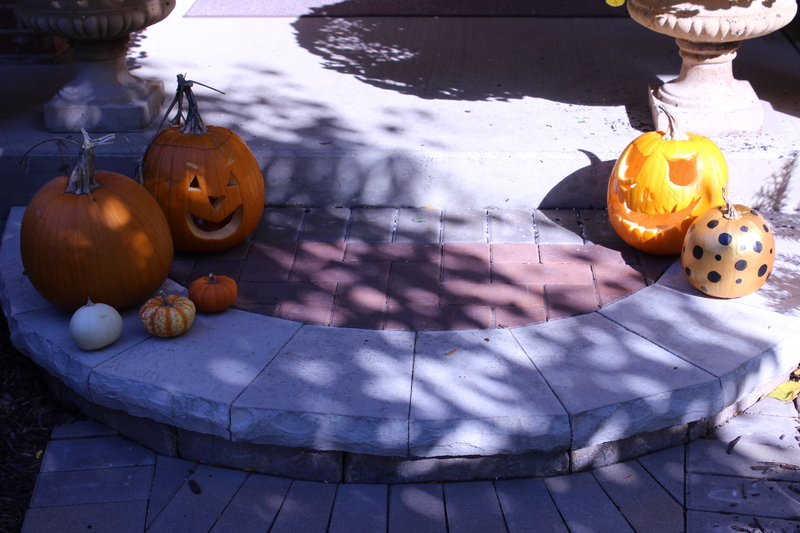 It is so adorable and perfect to add a little bit of flair to your average pumpkin display. 5. Wait for it to fully dry. Clean up all your paint and make sure you rinse the brush for future projects! 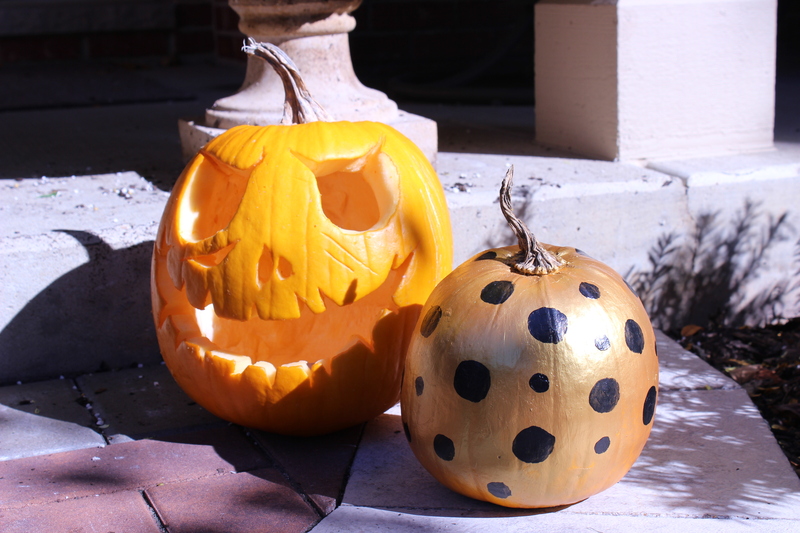 Use to decorate an indoor area or put it outdoors to add to the jack-o-lanters! It adds a unique, handmade flair to your front step. Thanks for reading and I hope you all try this before the big day which is coming up very soon! 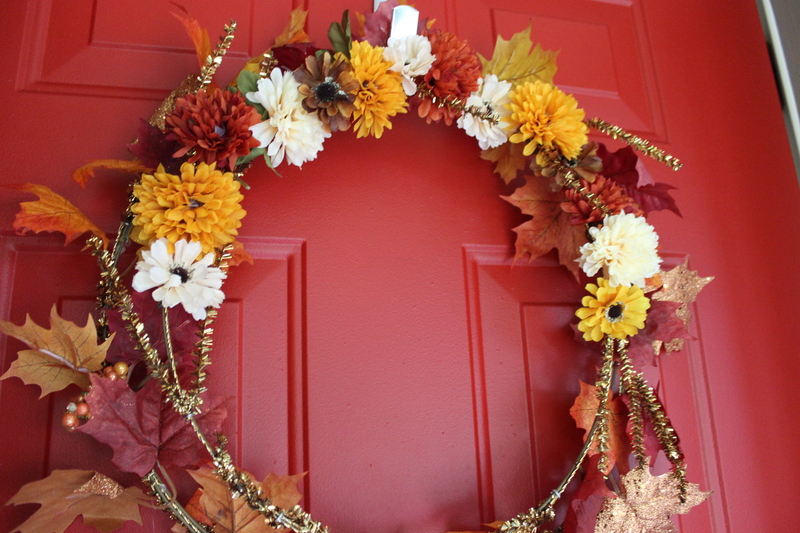 Since it’s FINALLY getting chilly here and starting to feel like fall, I decided to do a little DIY to welcome it properly.. right at the front door. 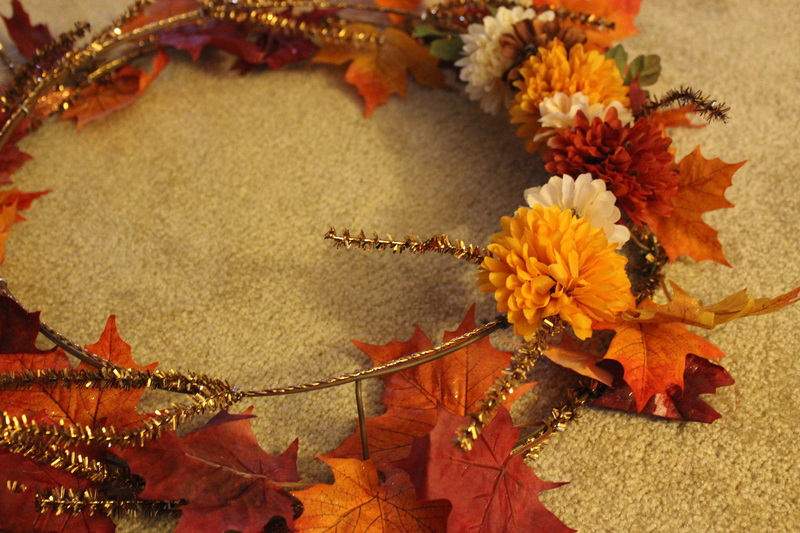 I made a super easy wreath that features all fall colors. 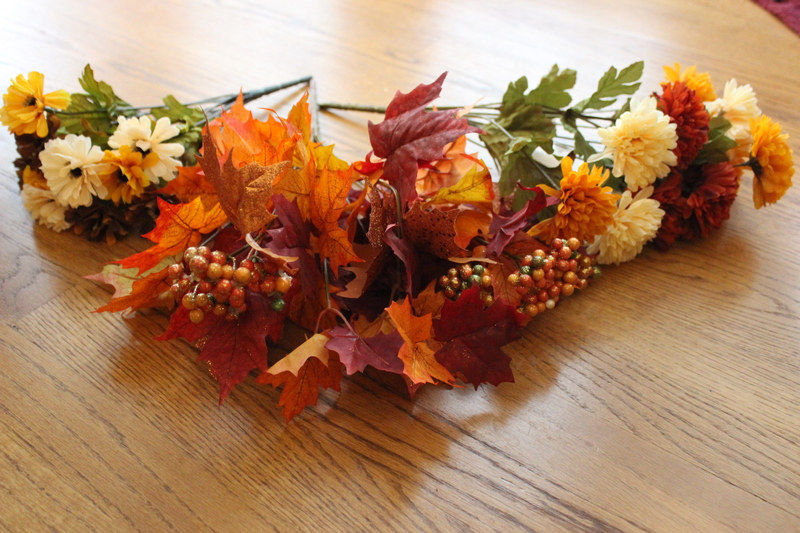 This is fun to make your own and use whatever flowers you like. 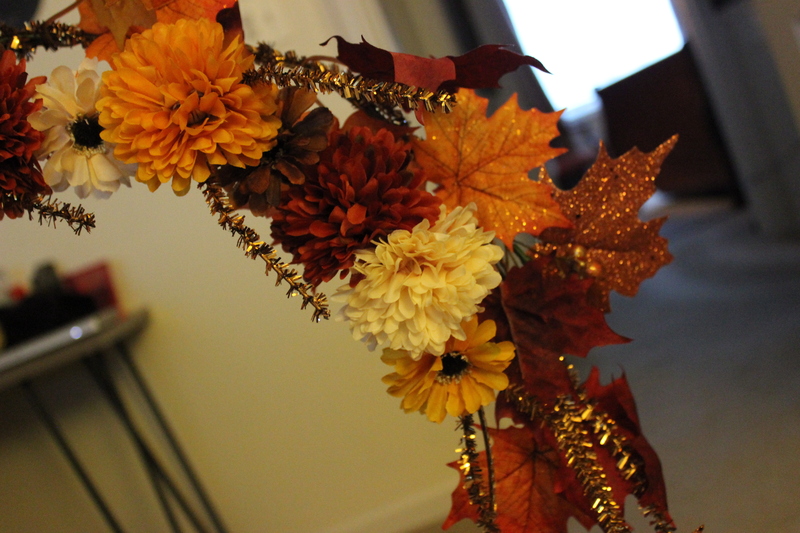 Michael’s craft store had 50% off all their fall florals, so if you have one of those near you check it out. This really helped me get even more into the autumn spirit. OCTOBER IS TOMORROW! Cut off ‘stems’ of flowers from the floral bouquet. This takes a little bit of see-sawing the scissors on the wire for a little while. I won’t say it’s the easiest thing, but don’t worry it will happen. Before attaching them permanently, arrange them on your form (the stems bend making this easy) to see how it WILL look. 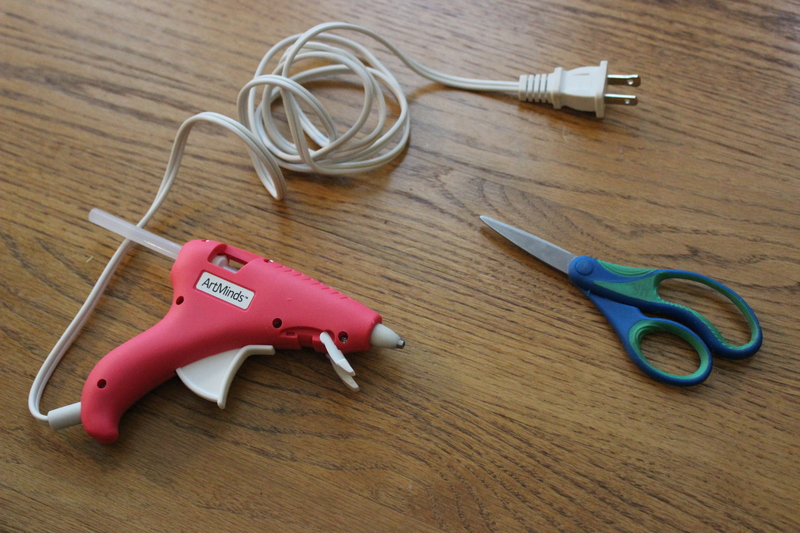 While doing this, make sure your hot glue gun is getting heated up. 2. This is the fun part. Time to attach all the stems! 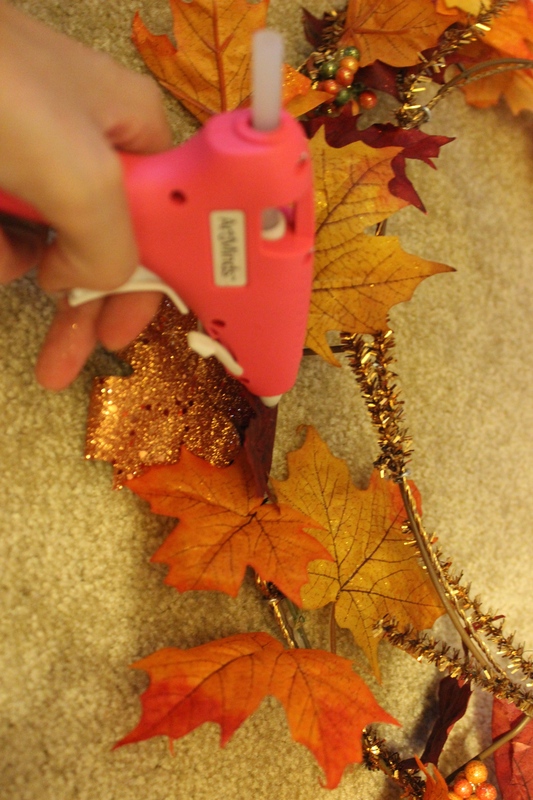 Curve all the stems to easily attach to the circle form. Apply hot glue onto form and put the stem on it and hold for a solid minute. Continue all the way around the wreath. 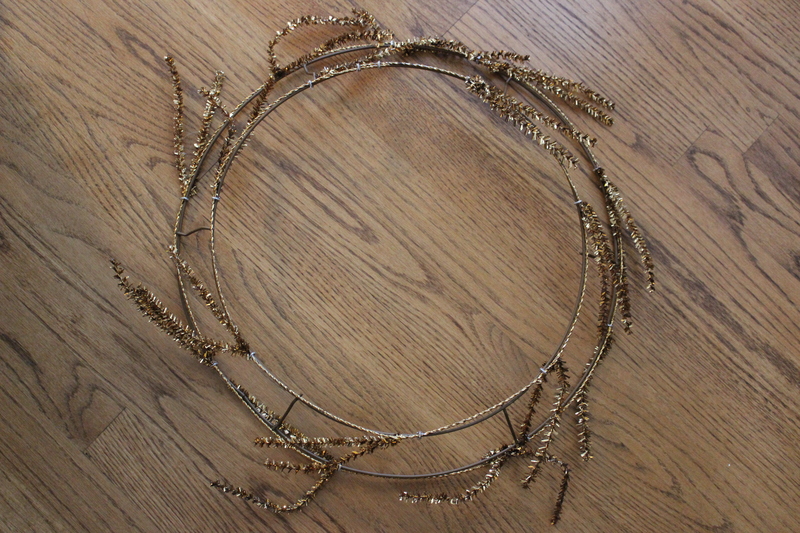 If you run into issues with the hot glue and it’s not holding, get some floral wire that matches your wreath to wrap around the stems. I used the gold dangles on the bottom row to support mine. 3. 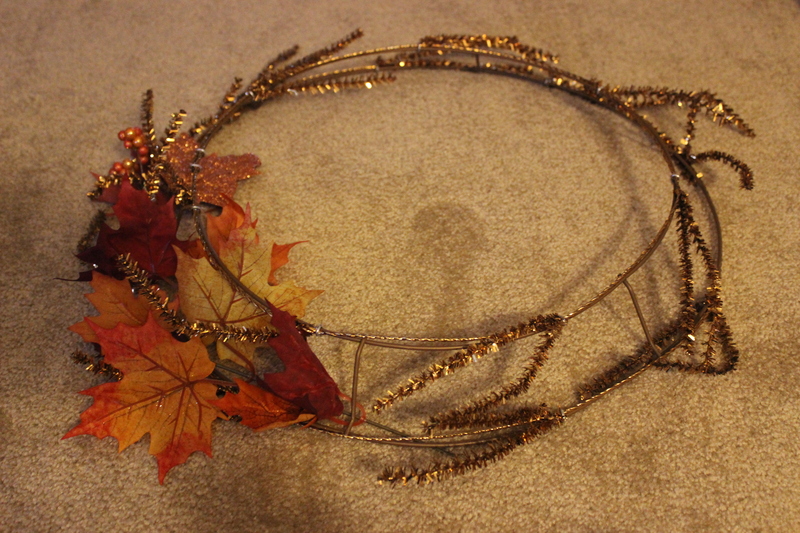 For the top row of my form, I decided to do an almost ‘flower crown’ to create an interesting look. 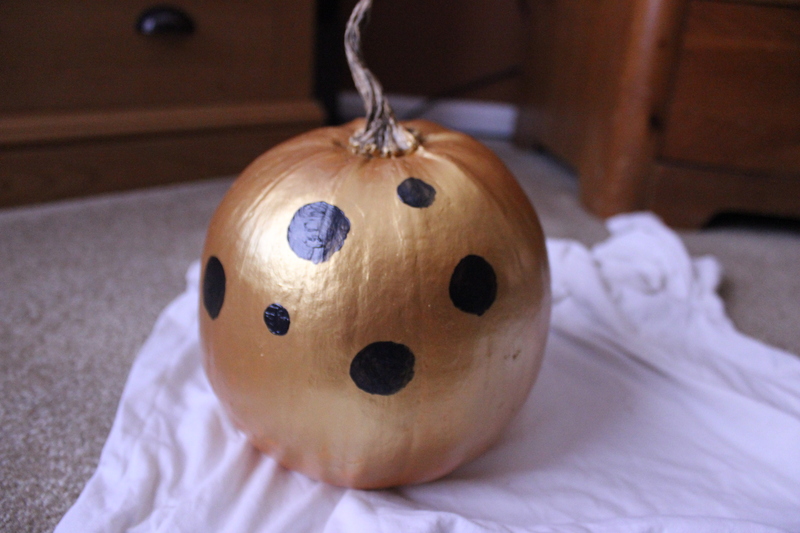 To do this, I ditched the hot glue. I simply wrapped the stems all the way around the form (since it’s just wire) to secure the flowers. It worked like a charm. It does take a little bit of finger power, but it’s worth it. 4. If everything is how you want it, then it’s time to hang it. Put your beautiful work on display! 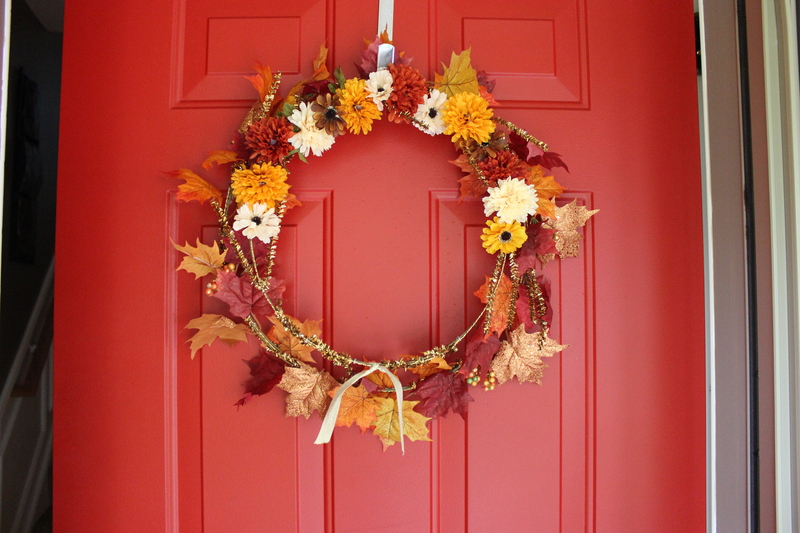 I lucked out with our red door which perfectly accented the colors in my wreath. It adds so much charm and it’s not very time consuming or difficult to do! Thanks for reading! I hope you try this out yourself.